Angel sharks were once widespread throughout Europe’s seas, but are now extinct from much of their former range. In particular, the Angel Shark (Squatina squatina) historically ranged from Scandinavia down to north-western Africa, including the Mediterranean and Black Seas and the Canary Islands. Over the past several decades, overfishing and high bycatch of this species has severely depleted and fragmented these populations, leading to this species being listed as Critically Endangered on the IUCN Red List in 2006. Today, the Canary Islands is the only place where the Critically Endangered Angel Shark is regularly sighted. However, here too they are under threat and urgent action is required to protect them in their last remaining stronghold. 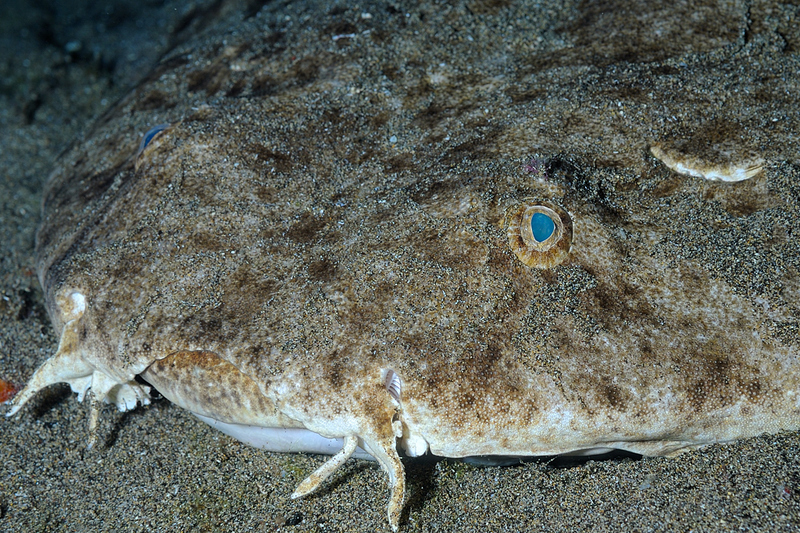 Two other species of angel shark, the Sawback Angelshark (S. aculeata) and the Smoothback Angelshark (S. oculata), are also found in European waters and are also listed as Critically Endangered on the IUCN Red List. We have reached a critical point for angel shark conservation in Europe and urgently need to secure the future of angel sharks across their natural range. Press Release: Saving angels: new plan aims to conserve Critically Endangered Angelshark, 15 December 2016. Press Release: Angelsharks in the Canary Islands, the last hope for this Critically Endangered shark. Gran Canaria, Spain, 23 June 2016. Canary Islands Action Plan & East Atlantic and Mediterranean Conservation Strategy Workshop , 2016, Gran Canaria, Spain (June 2016): The IUCN SSG, in collaboration with the Shark Trust and the Angel Shark Project (The Angel Shark Project is a collaboration between the Zoological Society of London, Universidad de Las Palmas de Gran Canaria and Zoologisches Forschungsmuseum Alexander Koenig) are developing an European Angel Shark Conservation Strategy, which will focus on three Critically Endangered species – the Angelshark (Squatina squantina), the Smoothback Angelshark (S. oculata), and the Sawback Angelshark (S. aculeata). Additionally, we are developing an evidence-based Angelshark Action Plan for the Canary Islands, which lists specific goals, objectives, and actions needed to ensure that the Angelshark is effectively protected in its last stronghold. Once widespread, the Canary Islands are the only place where the Critically Endangered Angelshark is regularly sighted. However, here too they are under threat and urgent action is required to protect them.